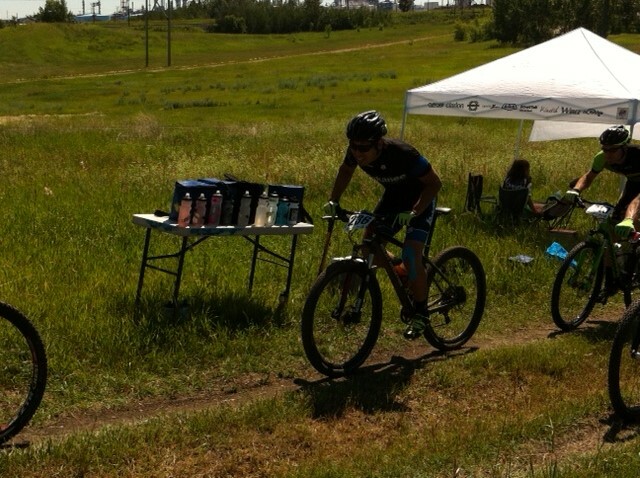 What a great day for the Kokanee Redbike crew competing in the 2014 Perogy XC Provincial Championships! This past weekend Alberta CX racers congregated in the scenic town of Devon, aka Biketown, for races 10 and 11 of the ABA calendar. The racing promised to be fast and furious with only a handful of races left before the Provincial championships and the end of another Alberta CX season. Bicycle races in Devon have always ranked among my favourites – no matter what the discipline, racers and spectators can count on an enjoyable day and leave feeling inspired by a community in love with bicycles. Sadly, The United Cycle race team was forced to move their race from the Devon Lions Campground (my personal favourite) due to some flooding and erosion issues, but luckily an equally cross-worthy backdrop exists just up the river at Voyageur Park. This venue was introduced last year, and from memory I knew it would provide plenty of variety and challenging terrain to make for a satisfying doubleheader. Special mention should be made of the town’s very impressive bike skills park at Voyageur Park. What was just a small park with some skinnies and teeter-totters last year, is now a fully developed park complete with jumps, a flow trail, and plenty of features to practice and build skills on. I know more than a few of us were wishing we had brought our mountain bikes along; however, the distraction of the bike park quickly faded as racers donned their skinsuits and focused on the task at hand. Task number one for me was to get in solid warm ups this weekend. As I get older and older, it takes me longer and longer to get warmed up. Despite knowing this, I’ve been rather lacksidasical with regards to warming up all season, and you really pay the price for this in cross. So, as opposed to just squeaking in one lap before my race, I arrived early enough to get in a pre-ride a full race before my own and then concentrated on pedaling to keep the legs warm and on staying hydrated until my race. The pre-ride helped to highlight the technical nature of the course – lots of corners, loose soil, bumpy grass sections, a sandpit with a challenging entry, and a super steep run/ride up – all features that gave me hope I could finally bag my first win of the season. I tried to remain positive but realistic, since anything can happen during a race, especially on a course such as this one. 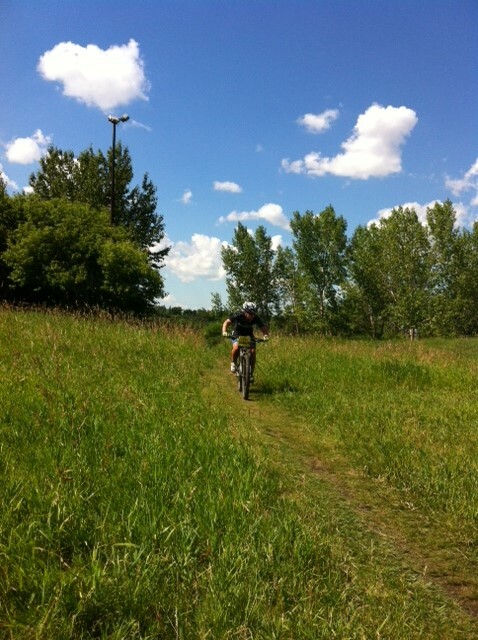 The skills park at Voyageur park even found its way into a section of the course. Photo courtesy Chris Hubick. Josh murdering the steep climb. Photo courtesy Chris Hubick. The promise of a holeshot prize made for a fast and furious start, and without even knowing what prize I was racing for I went for it and made it to the woods first to score a ginormous 750g Toblerone. Podi-yum! I maintained the lead until the first time through the sand pit, where what I had cleared without too much difficulty during pre-ride punished me for not choosing the proper line. I stalled out magnificently, getting caught up in my bike in the process, and watched Andrea sprint past me in what has become a sort of first lap Groundhog Day pattern for me: lead it out, screw it up, spend rest of race trying to make it back up. Only difference was that in this race I was actually able to make back up enough time in the corners and on the climb, and by the last lap I was back with Andrea and pretty confident I could make a dig for the win when the timing was right. Unfortunately though, I was a bit too hesitant and sat back too long, and when we got to the final time up the steep climb, Andrea stalled out just as she got to the top. She was able to foot push over the top, but positioned right behind her I was forced to stop and hop off my bike and scramble up. The gap was made, and Andrea earned the win. Drat. The sting didn’t last though, as deep down I knew I had the steam to win, and it only made me more hungry for a win the next day. The holeshot Toblerone. Victory never tasted so sweet. Photo courtesy Chris Hubick. 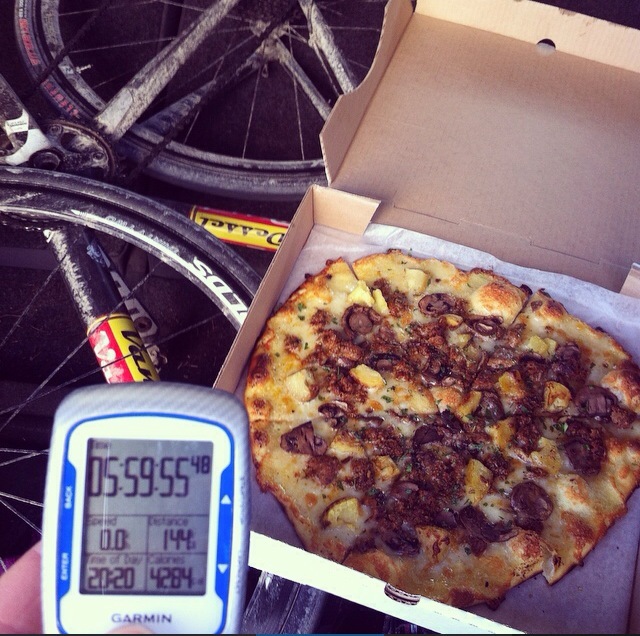 I stayed smart about warming up again on Sunday, and once again the pre-ride revealed a course well-suited to donkeys. Essentially the previous day run in reverse, the Devon Bicycle Association had strategically rerouted a couple sections to include the full length of the sandpit, a riverside beach section, and a stair run up out of the beach section. These alterations also allowed the reinsertion of the previous day’s steep climb, although now much trickier to ride since you approached it from an awkward angle. I had a feeling this was the feature that was going to make or break the race. Race started fast again, and not wanting to ruin my streak, I led it out and proceeded to screw up the steep climb magnificently, taking the opportunity to step on my bike and rear wheel in the process, and just like so many times before watched Andrea run by and get a gap. I shrugged it off and focused on keeping her in sight, but my attention on her was quickly replaced by what was happening behind me – wonder kid and wonder lady cyclocross phenoms Sidney McGill and Marg Fedyna were just behind me and chasing at a furious pace. I knew I couldn’t afford to make a mistake, for they were both there ready to capitalize on any seconds I was willing to give up. Luckily, this initiative from behind inspired me to go a little faster, and as the race wore on I was able to latch back on to Andrea about halfway through the second last lap. I hesitated here for a bit, but knew I couldn’t play it safe if I really wanted the win and made a dig so I could lead going into the last lap. We stayed together, and as we approached the steep climb I knew this was the deal maker/breaker. Clean it and I would have a gap and an essentially clear run to the finish, or dab and likely have to settle for second yet again. No dab. 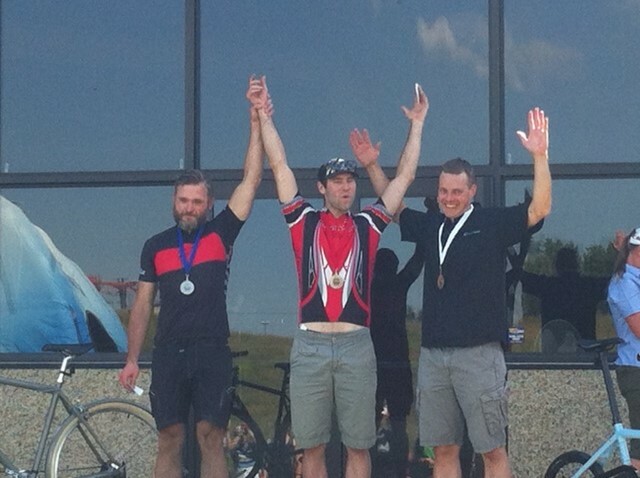 Made it up and over and headed for home as fast as I could muster, finally earning a spot on the top step of the podium. Being tailed by Sidney, who is more than 20 years younger than me. Where’s my botox. Photo courtesy Brent Topilko. I wasn’t the only one scoring a personal victory. Mighty mite Sydney came in 3rd, and barely in her teens she will surely prove to be a force to be reckoned with in the next couple of years. It was an excellent showing by new racers also, including a group of local ladies who looked like pros using all the skills cross champ Pepper Harlton had taught them in the weeks leading up to the race. I bet they’re as excited for next year as I am! My thought on the season as a whole so far is the events have all really been top notch. It’s great to see the registration fees have come down to a reasonable amount from the staggering heights they had climbed to last year, and I would say everyone’s enjoyment factor is the same if not even higher, which goes to show you don’t need a ton of money to host a great event if you know how to budget and put your registration dollars in the right places. Another highlight so far this season has been the inclusion of some new locations for events. RMCC came through on short notice to host a fabulously fun and scenic race in Canmore, and despite being faced with an unsympathetic Parks Department in Calgary, Crave Racing and Bicisport used some great initiative to find and transform the Airdrie Pro Rodeo Grounds into a great cyclocross venue. 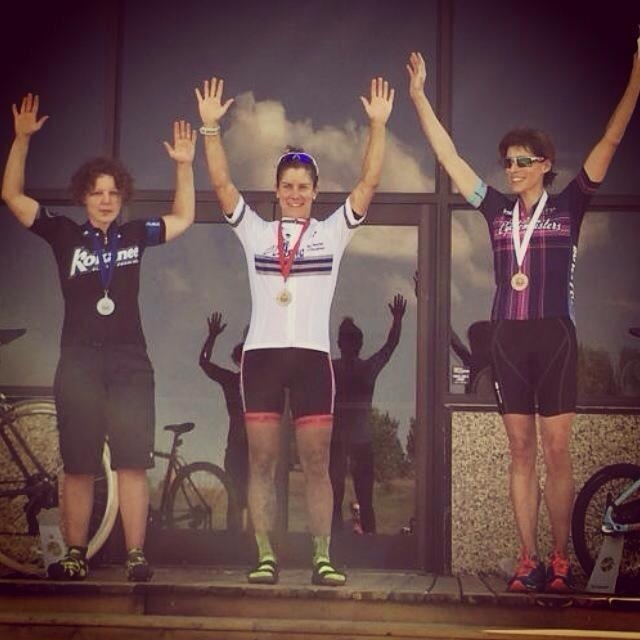 Finally, the addition of the Novice Men and Sport Women categories have really been successful at getting new and inexperienced cross racers to the line. New locations have added serious spice to the ABA calendar! 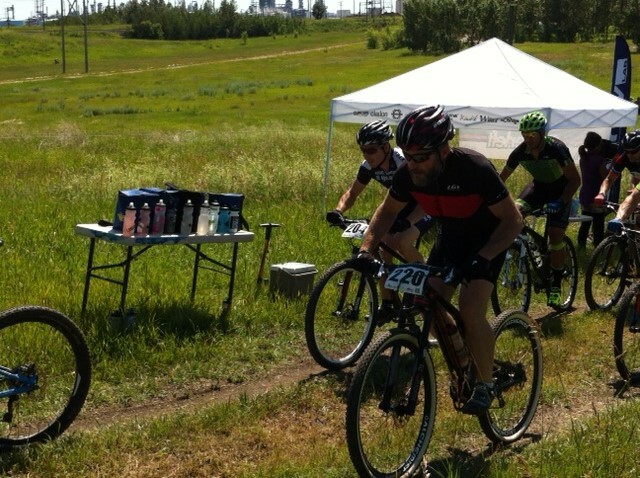 Now on to some on the ground reporting from this past weekend’s races, the Crave Cupcake Cross and the Bicisport Rodeo Cross, both held at the Airdrie Pro Rodeo Grounds. I’ll admit to being a bit hesitant when I first heard about the venue – as a kid I saw my fair share of rodeo grounds while spending my summer holidays travelling around Alberta in a motorhome with my Grandma, and my now distant memories of them are two: 1. Flat and open, and 2. Dry, dusty, and windy. Bicisport organizer Brent Topilko’s directions to the site: “Follow the signs to the Airdrie Waste Transfer Station!” only added to my anxiety, but upon arrival and survey of the course all my fears faded quickly as racers were treated to a fun and dynamic course with several elements that highlighted the unique flavour the grounds had to offer. Yes, it was still windy and dusty, but you can’t really control that. Yet. I think everyone agreed the section through the gymkhana corral (see, I wasn’t lying about knowing rodeo sites) was a definite highlight and test of skill – the loosely packed dirt meant you couldn’t take the corners too fast, and I noticed more than a few people must have slid out on those corners judging from the dusty thighs I saw. Maybe chaps are in order for next year. The back section provided some punishing and bumpy climbing and descending, which rewarded those with the endurance to suffer consistently through the 6 to 10 laps of the course. Several long, fast swoopy turns and a couple of punchy ride/run-ups also helped to keep things interesting for racers and fans alike. It was definitely one of those courses where a couple of mistakes could cost you a few places as I quickly found out dabbing on the run-up, watching my gap become someone else’s. Especially with the wind making it hard to close any gaps that opened up, once people became isolated not much changed between racers, and when it was all said and done I ended up second to the super fast Andrea Bunnin (curse those super-fit Bunnins!). 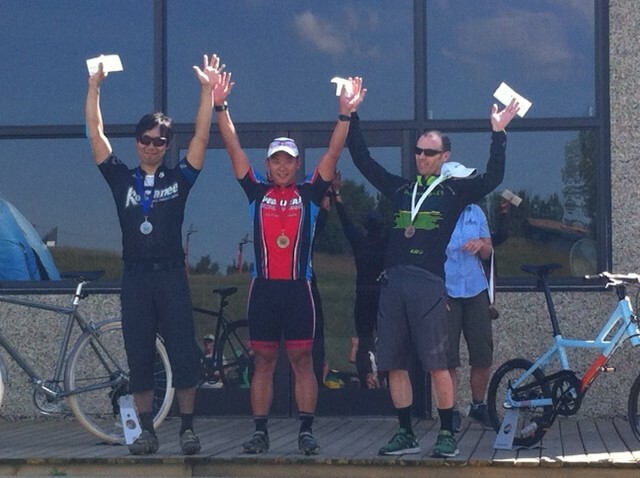 We all got delicious Crave cupcakes on the podium though, so it didn’t take long to turn my frown upside down. Crave Racing hosted a super day, and while I didn’t indulge on a cupcake hand up during the race (I’ve made that mistake before), it was fun seeing the photos of all those that did. The tricky corral section. Next year remember to pack yer chaps! The next day we were treated to even stronger winds (boo-urns) and the course run in reverse. The lap was equally fun and challenging backwards, a true testament to the well planned out course design. The previous day’s long, rough descent now became a leg-sapping climb, and a tricky off camber descent with a sharp corner became an even trickier, short, punchy climb up. Despite riding a much cleaner and solid race, I finished a step lower in third as I find I am still lacking that extra gear in the speed and fitness department I’ll need if I’m to climb up onto the top step of the podium this season. Maybe next year I’ll actually start cyclocross training early like you’re supposed to instead of trying to race myself into shape. Who am I kidding? I’m just going to stick with the “I’m looking to peak a little later in the season” façade. Toy ponies instead of cupcakes were our reward on the day, with Pepper Harlton claiming the largest and most glorious pony for finishing first, although she very graciously surrendered it to some little girls who mobbed her when she was least expecting it. I’m all for the crazy novelty podium prizes in cross, and Bicisport really came through with the podium ponies in addition to a very well organized and run event. Looking forward to coming back to this venue next year for sure. Next up on the calendar, the Dark Knight Cross, which I am forced to sit out due to my night vision akin to that of a naked mole rat, and the Cadence Coffee Cross Classic at Canada Olympic Park, a course that with it’s super long sand pit and punchy climbs is one of my favourites. What every girl wishes for: a third place pony. Along with guest Evan Wishloff (Pedalhead – watch for his guest post coming soon), Josh and headed out to Nipika Moutain resort. 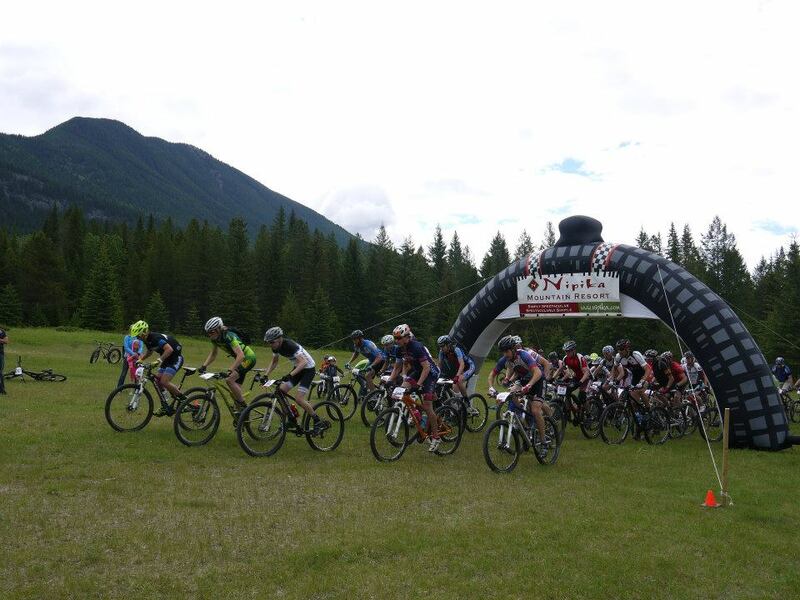 Most of the 25 km course paralleled the Kootenay River, with is turquoise blue waters and undulated up and down with a total of 800m of climbing for the 50 km race. Rough and bump fun I must say! Off the start the start I went to the front and spun out my 32-11 gear as best I could and figured this was as fast as I would go to lead out the group. The 1st couple of kilometres were on the XC ski trail, so there was lots of room to move around. As the course turned a sharp right and climbed it’s way up, a few guys pushed the pace, including Peter Knight who put in a solid dig up the climb. I knew the ski trail got steep just before entering the singletrack, so I launched an attach up the steepest pitch and entered the rough and bumpy false flat trail in 1st position. From there I just kept the throttle close to the redline for a few minutes and I opened up a decent sized gap on 2nd position. I never new what the time split was however I was able to get out of sight – which is almost more important. It’s hard to chase down someone you can’t see in a race. 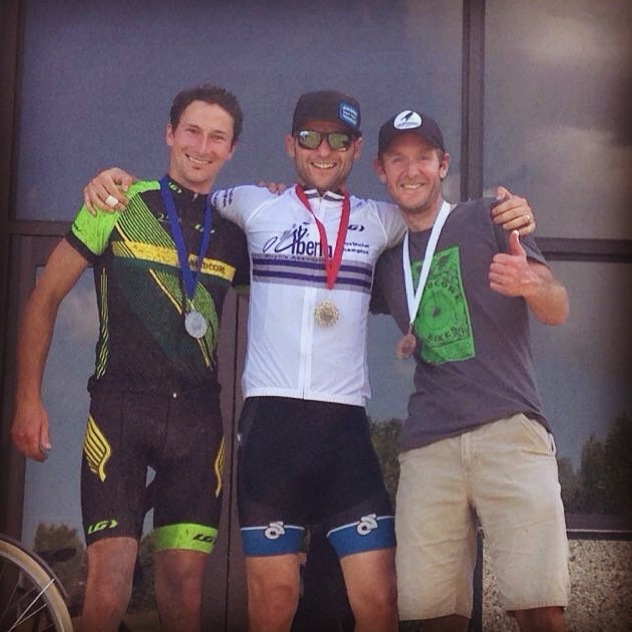 I had one minor crash up top on the ’15km’ loop of the course, where a moment of inattention resulted in washing out my front wheel, which evolved into me eating a Kootenay dirt sandwich. I picked myself up and dusted myself off and got going again…slowly trying to find my rhythm. It was a good reminder to always stay focused during the race and try to stop your mind from wandering to waffles and maple syrup. In the end, I won the race with a time just over 2:45 – setting a new course record. For my efforts I received a rather large bottle of beer and a camp pillow to sleep the beer off with afterwards. Riches in deed. This was a really great event and I plan to be back. This is a great place to go where everyone can camp at the venue, enjoy a few brews around a campfire, and rip some sweet singletrack.